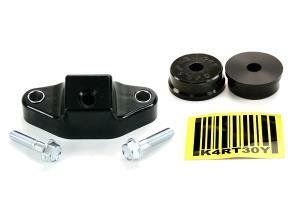 This kit will eliminate any excessive play in your shifter mechanism due to tired, or worn out shifter bushings. With simple hand tools this kit can be installed on average in about 30 minutes. These bushings are 100% hand made in the U.S.A., and are made from high grade polyurethane to help restore and tighten your shifter feel.